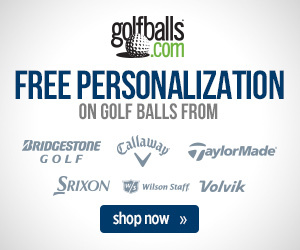 Driven by demand from their fan base for a softer feeling ball, the latest iteration in the long line of popular Titleist golf balls is the DT TruSoft™, which is now available. And in case you’re wondering, the DT TruSoft replaces the current standard-bearer for the DT line – the DT® SoLo. Company literature promises that the TruSoft will boast the softest core and the softest cover ever seen in an Acushnet ball, thanks to an ionomer blend fabrication. The Titleist DT TruSoft enters the market with a compression in the mid 50’s. Not sure what that means? Compression is that physical phenomenon that occurs when the clubface encounters the golf ball at the bottom of the swing. At that critical moment of impact, the ball will actually deform and compress, an action that causes the ball to then spring off the face and travel down the fairway after regaining its shape. Titliest challenged itself to not only create a softer low compression golf ball, but one that wouldn’t negatively affect short game performance. To achieve this goal, the company discovered a way to blend the speedier low compression core with a Pure Ionomer outer over for a ball that is a full 15 points softer than the DT SoLo, and even manages to yield more distance off the tee. For those “go big or go home” competitors wondering why the DT TruSoft’s hovers in the mid-50s and they didn’t opt to go lower, this was a deliberate choice. Titleist caters to the demands of their players, and according to those on the testing panel, too low of a compression wasn’t ideal. The key to the supremely soft feel without the loss in greenside spin comes from over two years of research. The softer and slightly larger core stands at a low compression, while the Pure Ionomer cover combats the loss of spin around the green typically seen with others in this category. The cover also boasts a 376 tetrahedral dimple design for impressive aerodynamics and is available in both white and yellow. Not only will you receive a soft feel through your longer shots, but responsiveness off your short clubs and putter. Ball flight is slightly lower, and the angle of descent comes in measurably shallower than the DT SoLo, yielding better performance no matter swing speed. The Titleist DT TruSoft will give golfers truly soft feel on every shot, while also providing long distance. 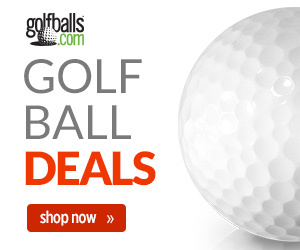 And with it priced at $22 per dozen, the ball stands to be quite the bargain for feel, length, and control from the company that produces “The #1 Ball in Golf.®”, thus making it a must try for golfers. Urban Street Golf: What is it and can it last? Next story TOUR Championship: Who is still in FedEx Cup contention?